How Healthy is Your Organization Culture? The DecisionWise Culture Survey provides a comprehensive diagnostic of your current culture as well as a detailed understanding of the culture you are aiming for, by examining employees’ perceptions of the organization’s current practices and the values they consider desirable. The survey is not an end in itself. 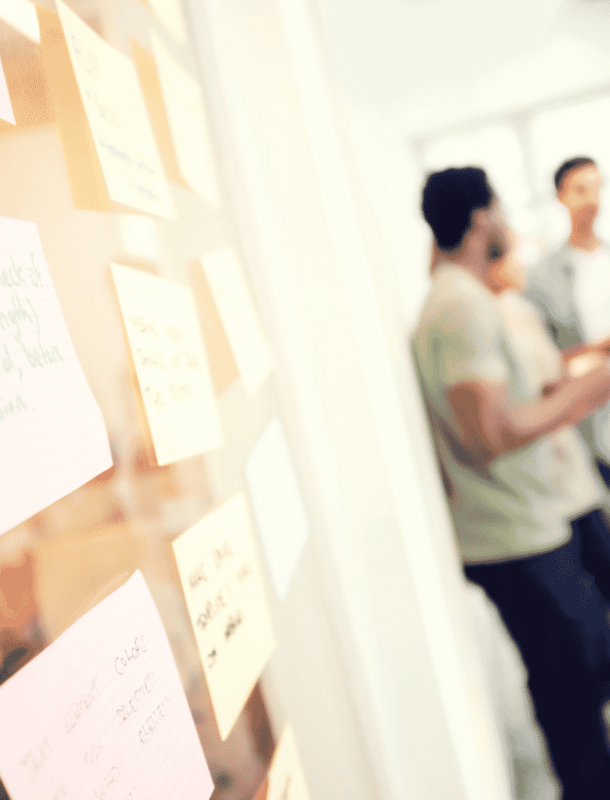 It serves as a starting point to address cultural strengths and weaknesses within your organization and to start the discussion on what needs to be done to facilitate organizational change. 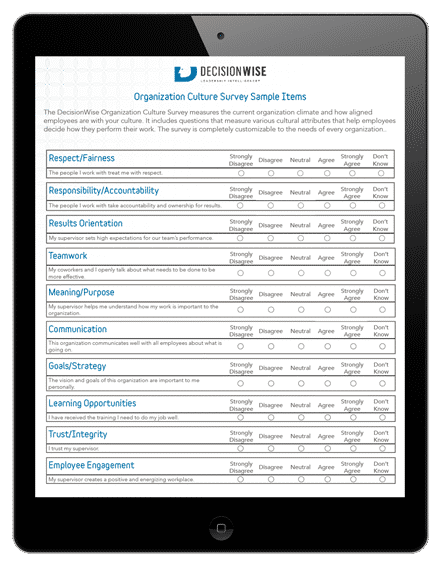 The DecisionWise Culture Survey is customized by one of our survey consultants to evaluate the cultural dynamics that are unique to your organization. We then analyze the results to show significant gaps and areas that need to be brought in alignment. A DecisionWise consultant makes practical recommendations to improve the vitality of the organization’s culture. We then work with you to roll out new initiatives and provide accountability and follow up with your leaders to ensure that the changes work. 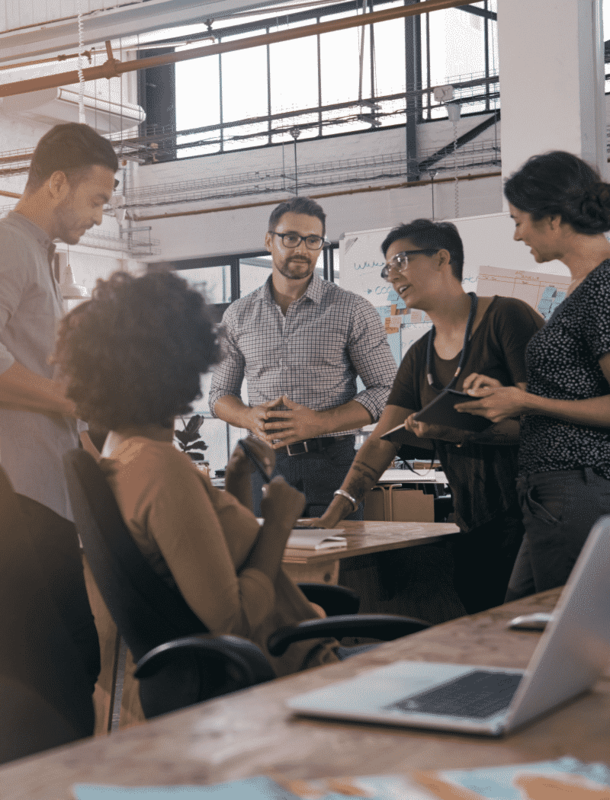 An organization’s culture consists of the values, beliefs, attitudes, and behaviors that employees share and use on a daily basis in their work. 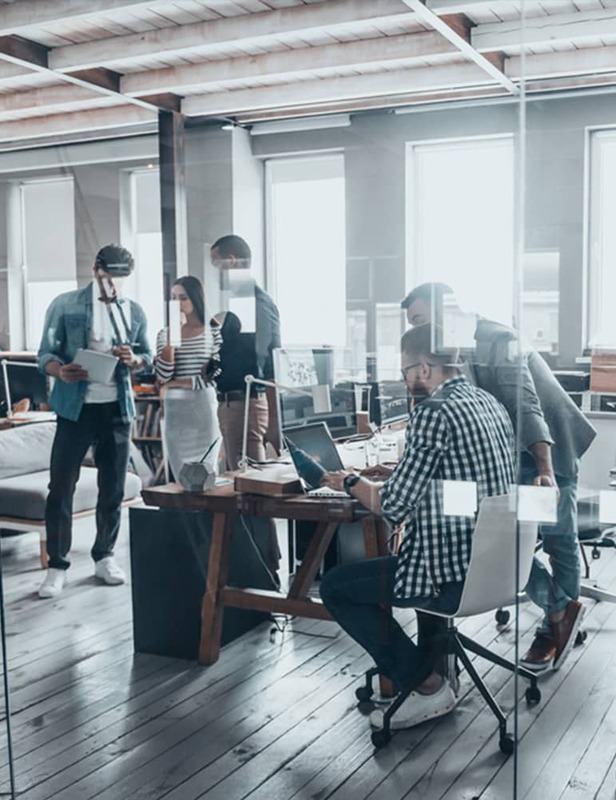 Culture is how employees describe where they work, understand the business and see themselves as part of the organization. Culture is important because it drives decisions, actions, and ultimately the overall performance of the organization. Understanding an organization’s culture helps us to understand why organizations do what they do and achieve what they achieve. How Aligned Are Employees with Your Culture? Cultures are either created organically or through deliberate and consistent planning and action. The best organizations understand their culture and take careful steps to manage and promote it effectively. 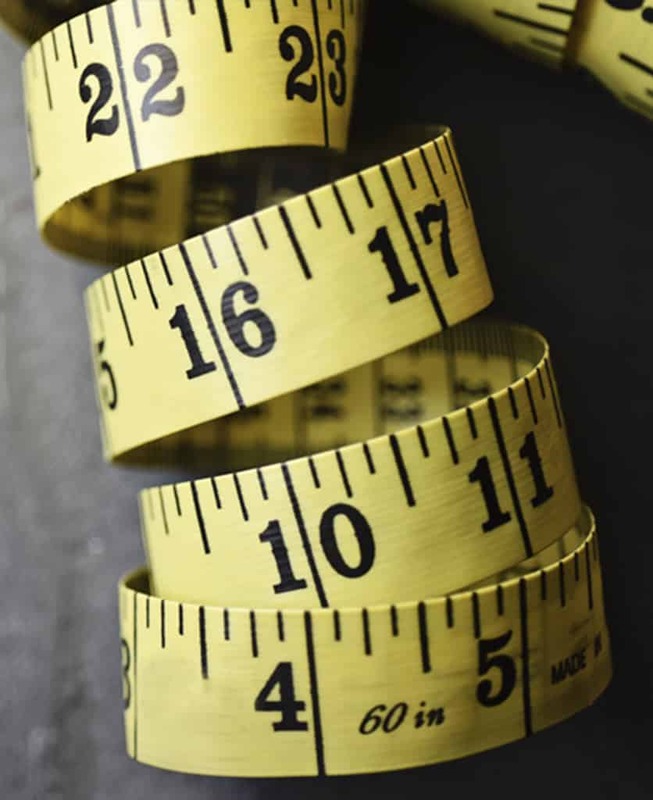 To increase performance, an organization should constantly evaluate its values and practices to ensure they are aligned with their corporate strategy and goals. A culture survey will measure how far an organization’s behavior matches its expressed values. The survey results are used to determine changes in strategy, leadership needs, new investments, and organizational changes.